Darcel manages the business aspects of Harmony Technology Services as only an owner can, injecting the company with her entrepreneurial passion, uncompromising insistence on outstanding results, and dedication to total customer satisfaction. She has built and cultivated several successful enterprises over the years. Harmony Technology Services is the summit of her endeavors, realizing her concept of IT as a service being the competitive advantage companies need to reach unprecedented gains. 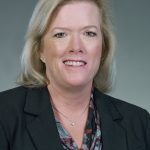 She named the company for its merging of the most resourceful IT industry experts and state-of-the-art solutions to dynamically serve the IT needs of a diverse client base. Darcel’s talent doesn’t stop at assembling high performance teams – ask her about her many creative outlets.